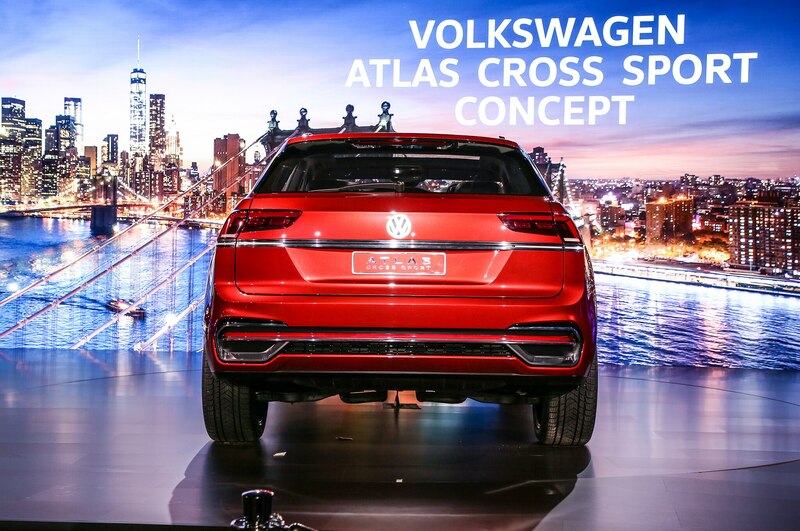 Volkswagen would have been one of the headliners at the 2018 New York International Auto Show with only the Atlas Cross Sport to unveil. 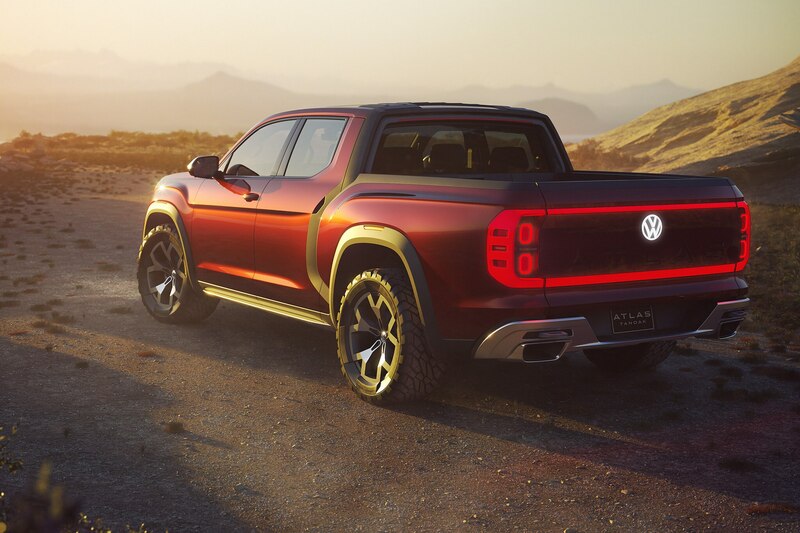 But the story goes that VW brass were so taken with their design staff’s proposal for a pickup truck, that they added it as a surprise premiere at the brand’s press conference. 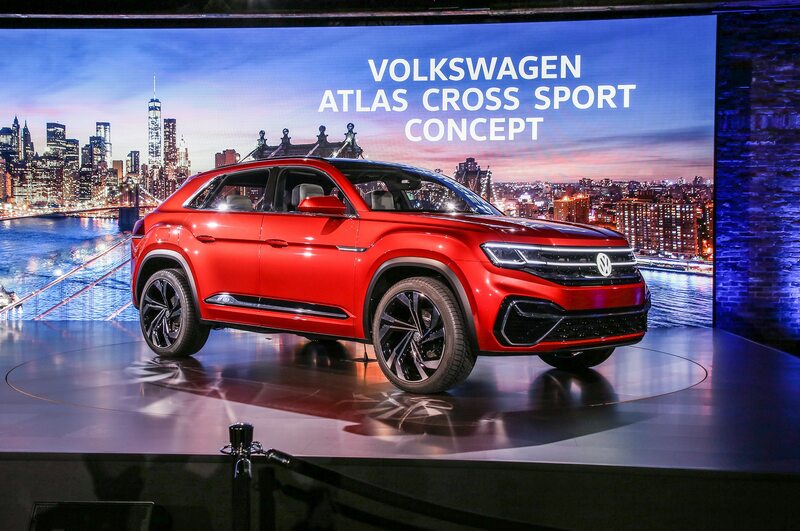 Though both Atlas family models are presented as concepts, there already are production plans for the VW Atlas Cross Sport. 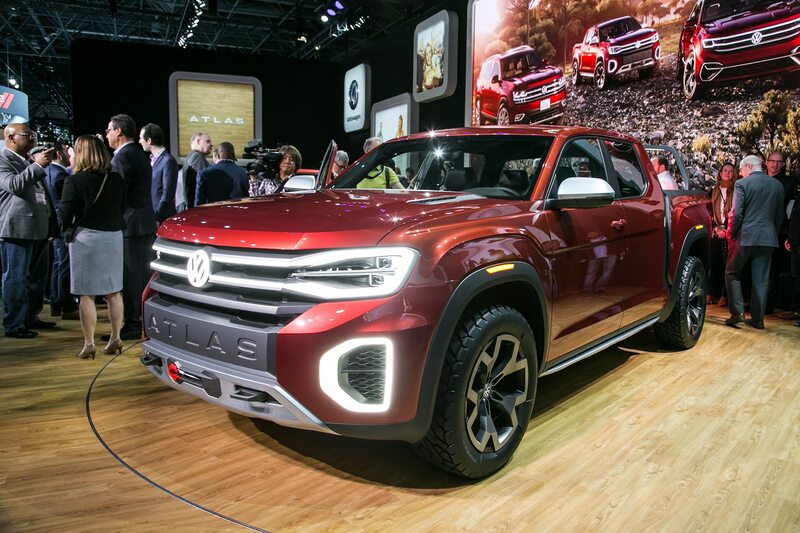 It will be added to VW Passat and Atlas production in the Chattanooga, Tennessee assembly plant in late 2019, which would make it a 2020 model. 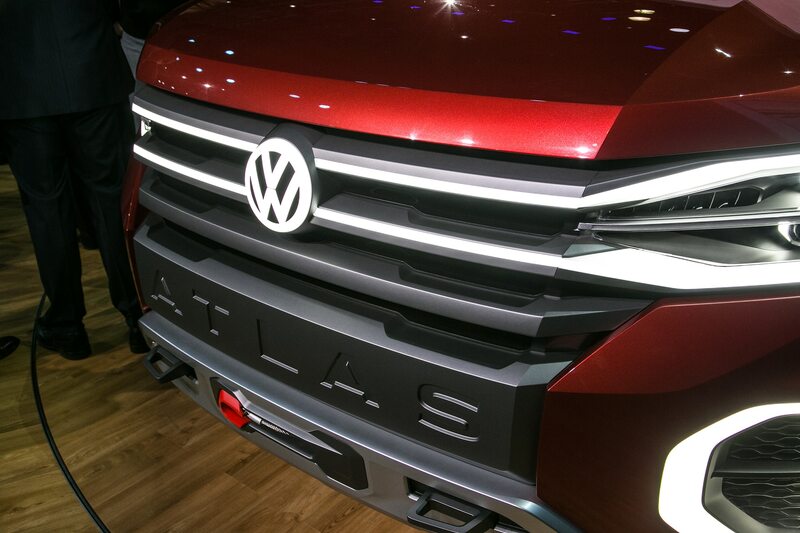 The VW Atlas Tanoak concept is not quite so far along. 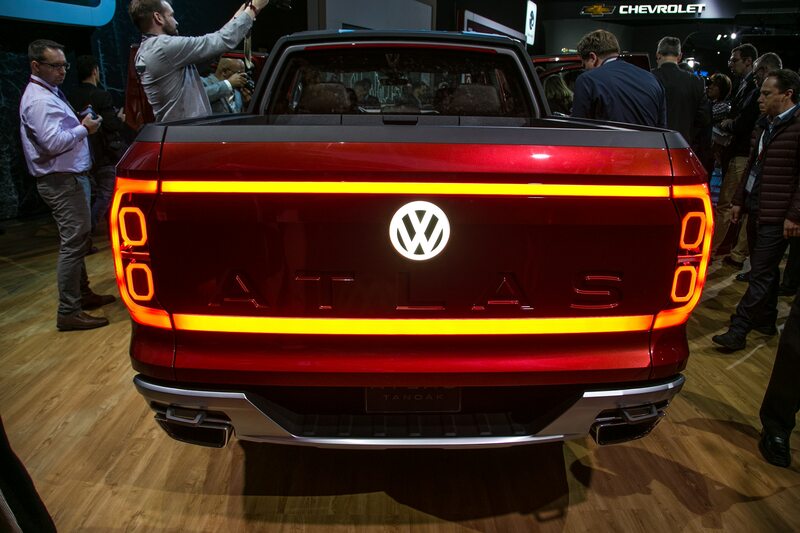 It’s a design study so far; Volkswagen will gauge public and press reaction, and will study sales projections and public clinic results and other data before the pickup gets the green light. 1. The Atlas Family fit into an MQB puzzle to fill capacity in a big factory. 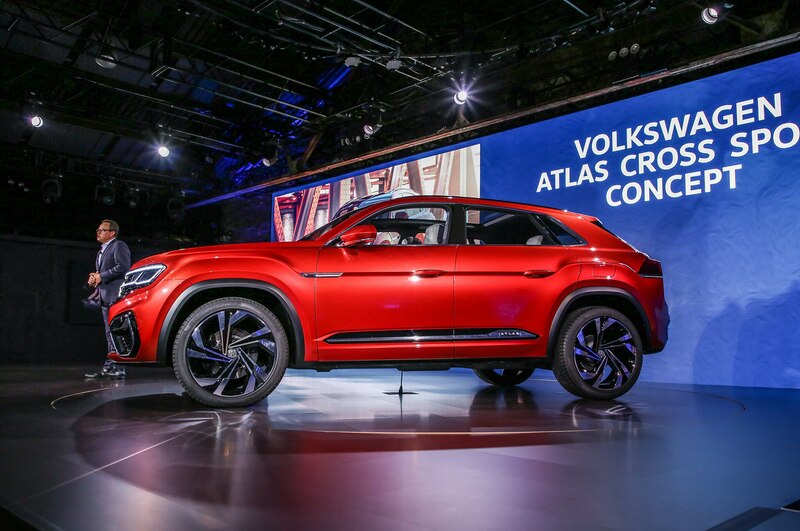 VW’s seven-year-old Chattanooga plant is set up to build a variety of models in the VW Group’s MQB architecture, which is a very flexible platform that will account for the largest share of the Group’s future products. 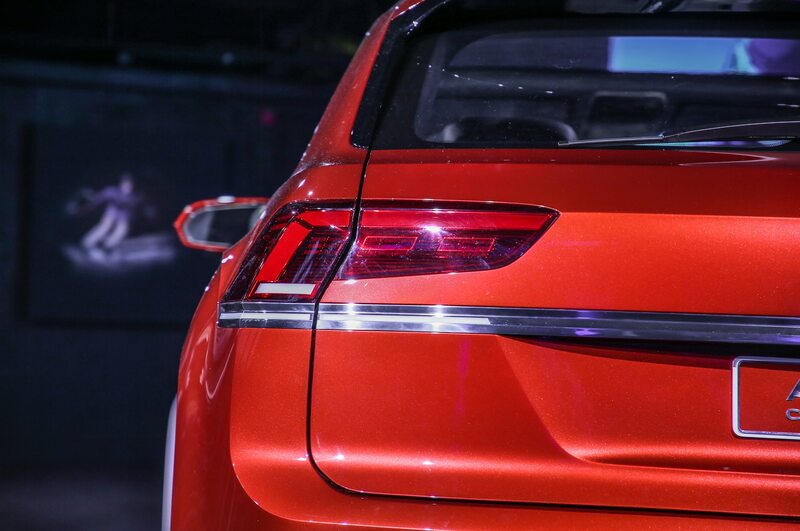 The U.S.-spec VW Passat is not on MQB yet, but the next generation, expected in the 2020 model year, will be. 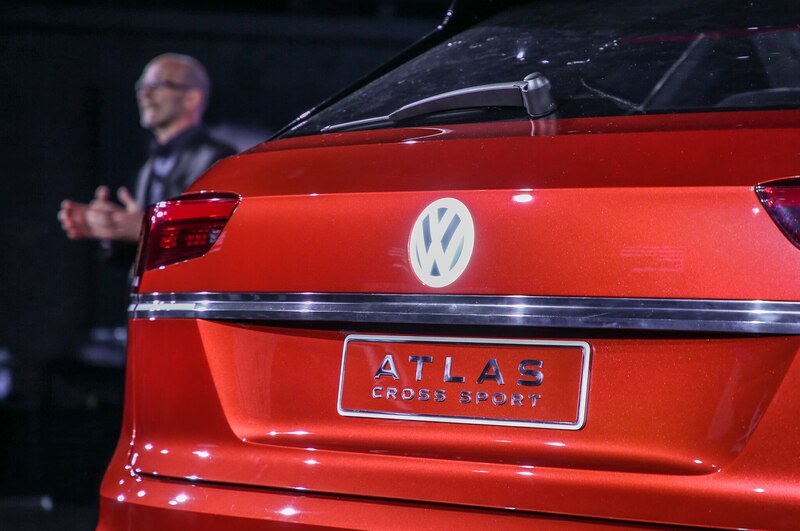 The big three-row Atlas SUV is on MQB as well, as are the Golf, Jetta, and Tiguan. 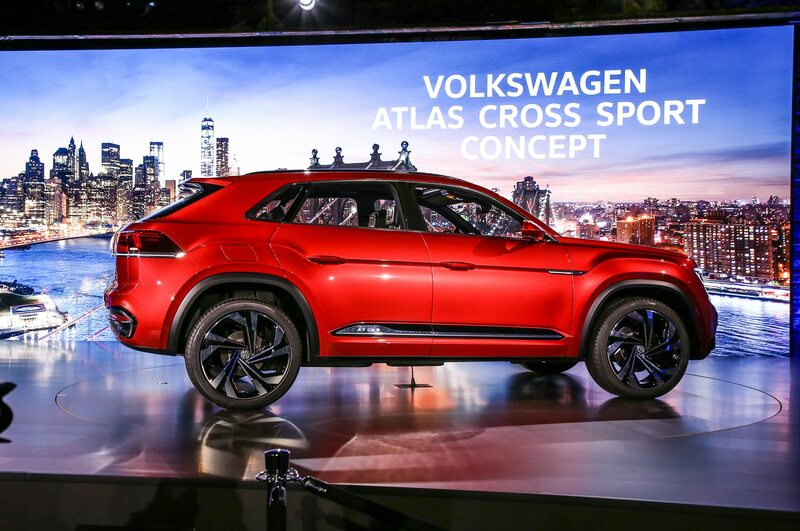 But the Chattanooga assembly plant’s capacity is 500,000, so there’s space for more than Atlas, Atlas Cross Sport, and Passat. 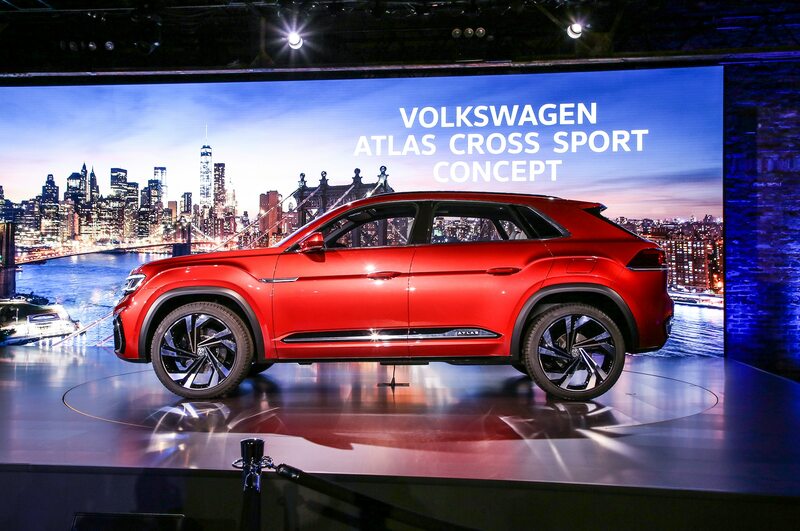 Chattanooga also can build vehicles based on VW Group’s all-electric MEB platform, though that requires installation of a separate assembly line. 2. 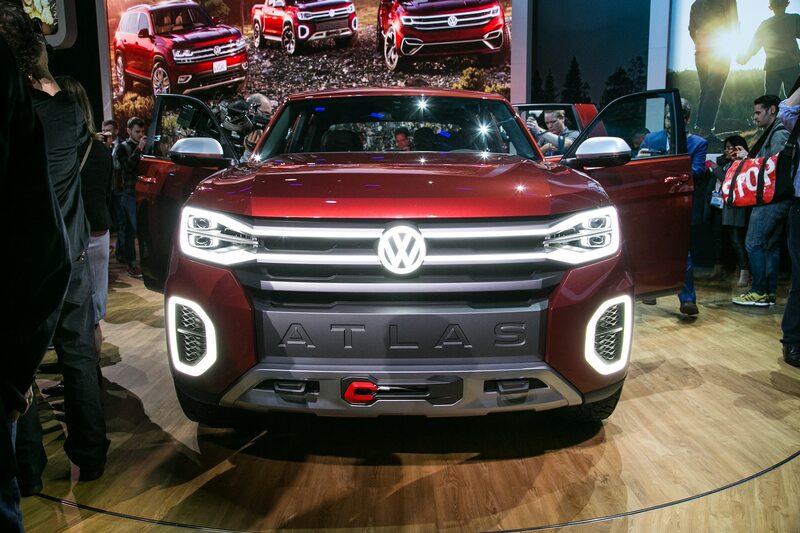 The VW Atlas Tanoak would stretch MQB to its limits. 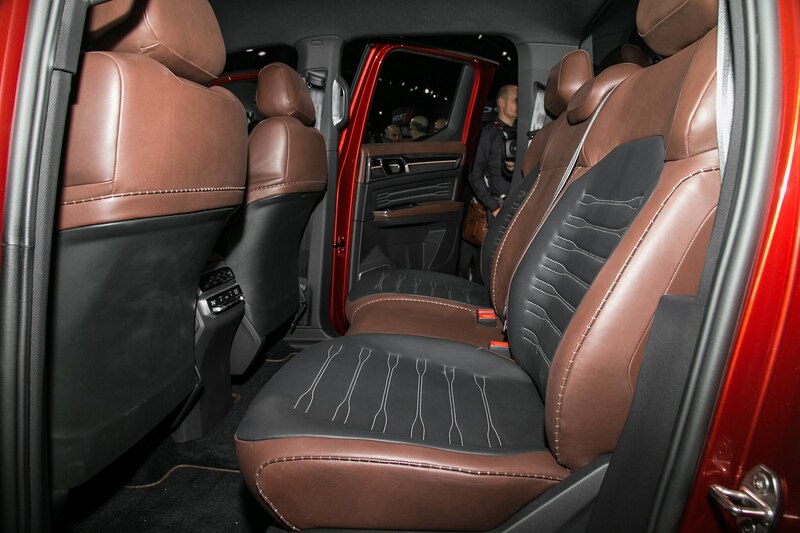 The Tanoak’s overall length of 214.1 inches would be MQB’s longest, by far. 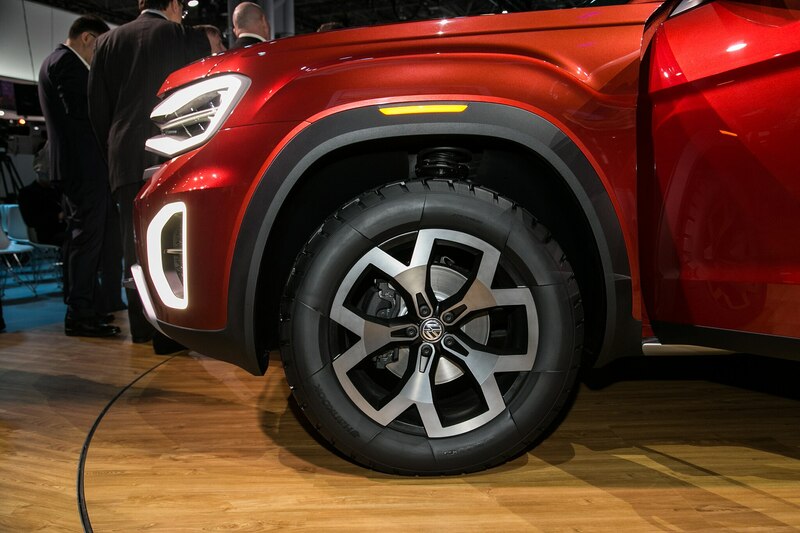 The pickup truck’s wheelbase is 11 inches longer than the Atlas, at 128.3 inches. 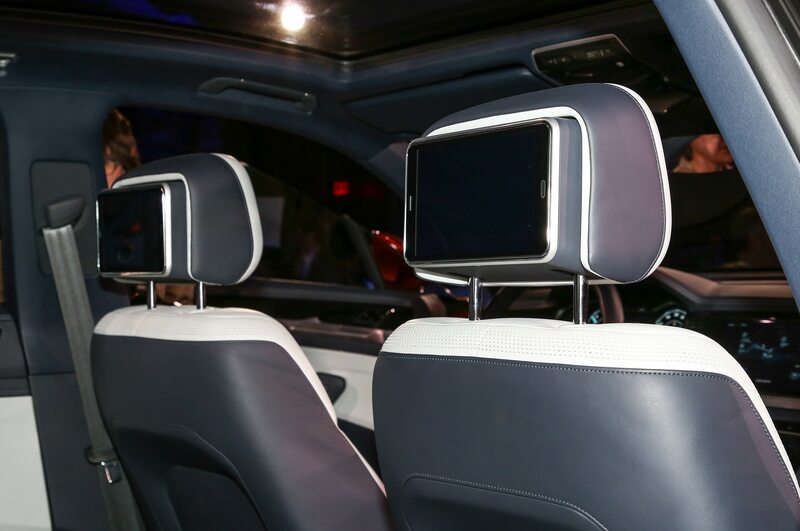 It’s 79.9-inches wide and 72.6-inches tall. 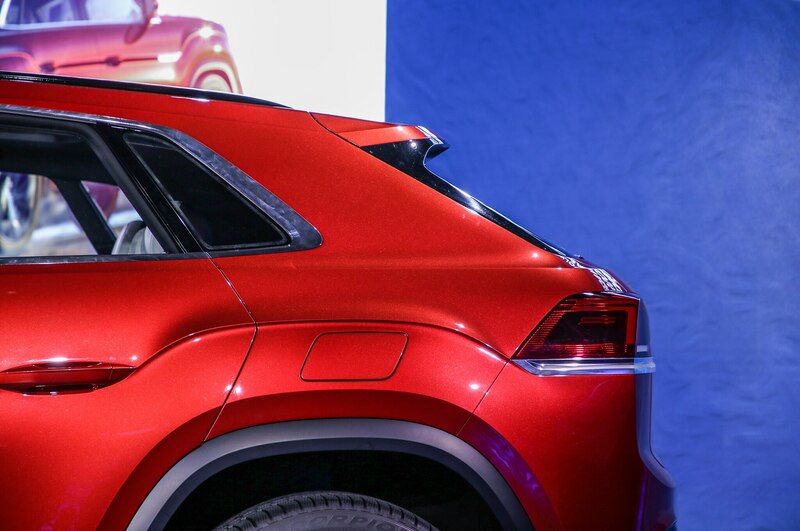 Some car and SUV factories do not have paint booths that can handle tall vehicles over a certain height, but VW says that’s not a problem for Chattanooga. 3. 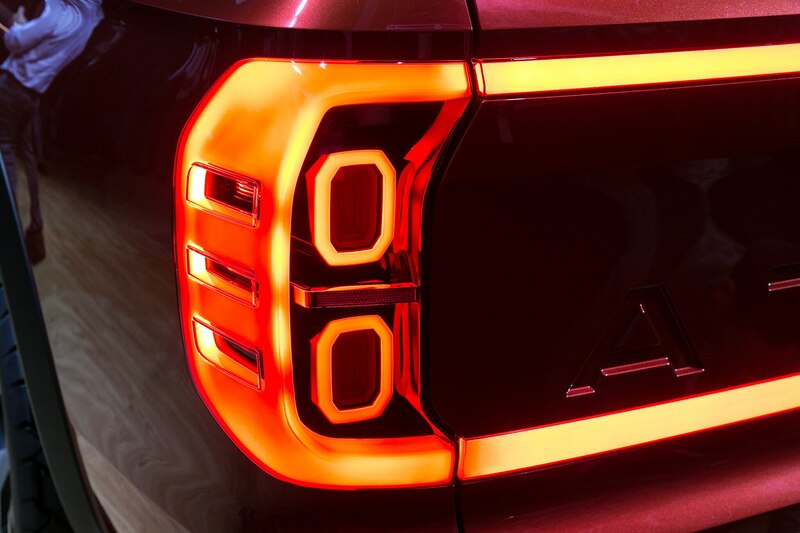 Tanoak’s slick concept truck features are production-ready, says the design chief. 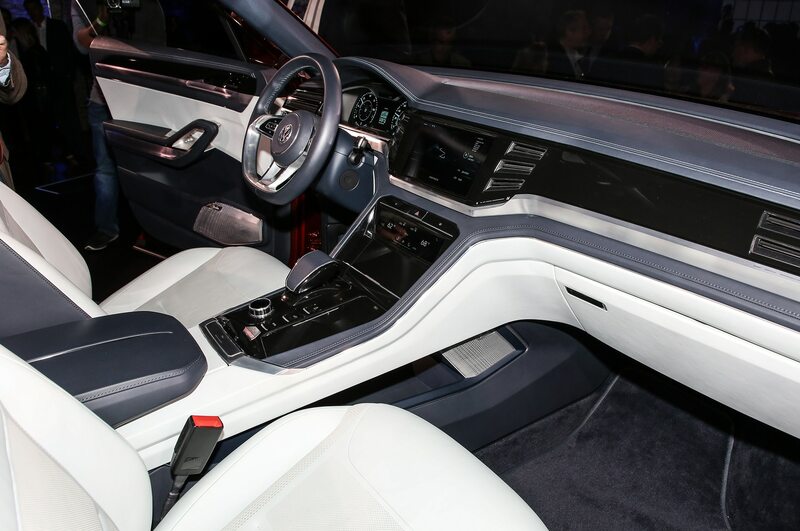 Surprise-and-delight features include the moveable cargo rail, a sort of large basket-handle that slides from inside the rear window frame toward the back of the bed, looking like a thin Dodge Daytona Charger-style rear wing. 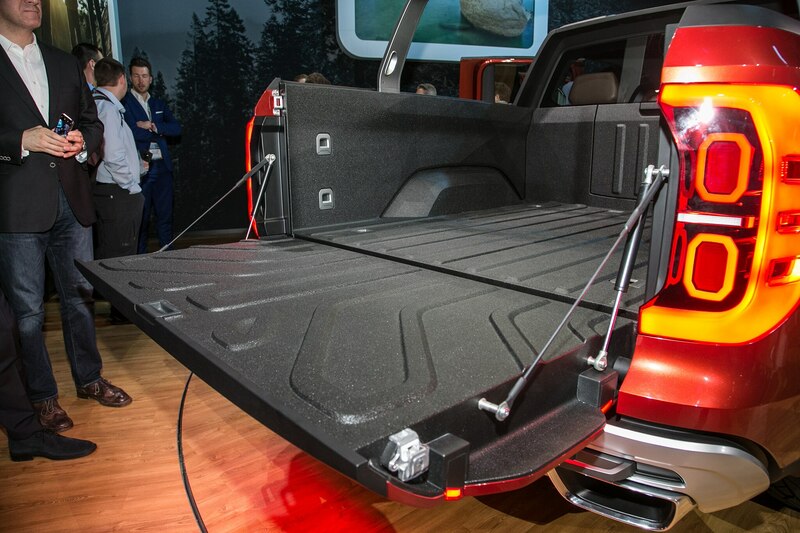 There’s also a compartment that opens in the rear bulkhead to make room for items too long for the 64.1-inch long bed, and wild geometric LED lights outside, and a horizontal LED line surrounding the front passenger compartment inside. 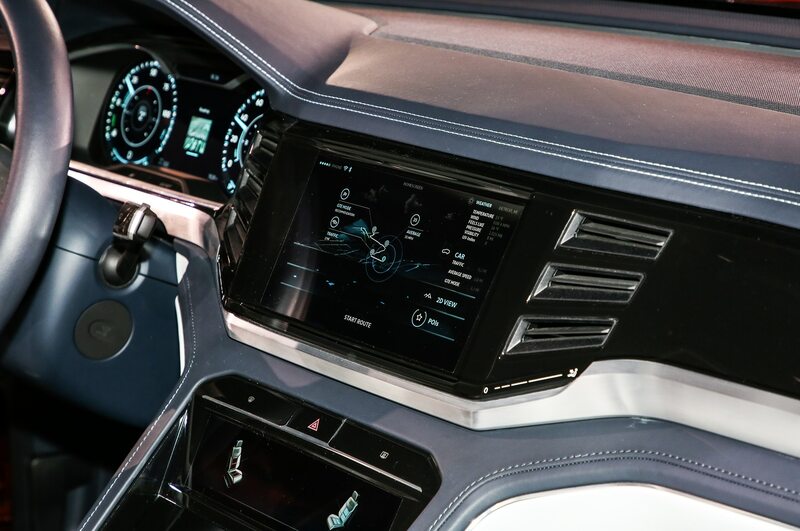 All of this is producible, design chief Klaus Bischoff says—it’s a matter of how much he can get the production engineers to approve. 4. 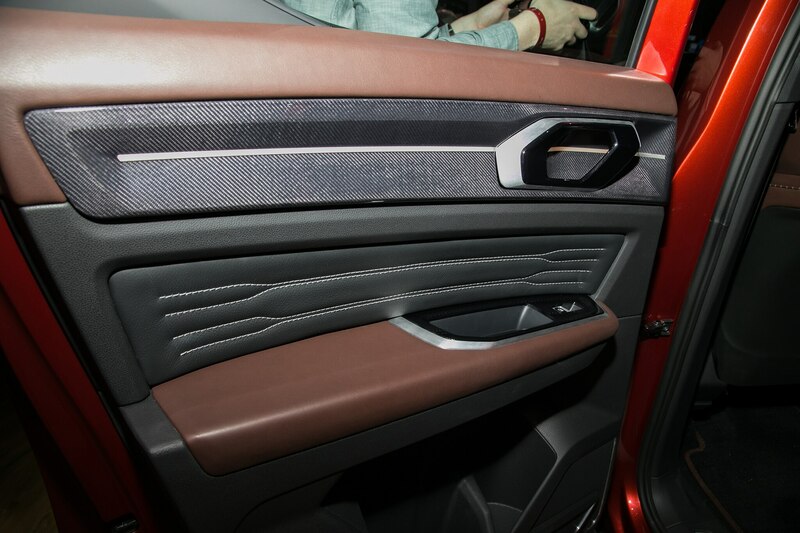 But what about the Atlas Cross Sport? That’s already on. 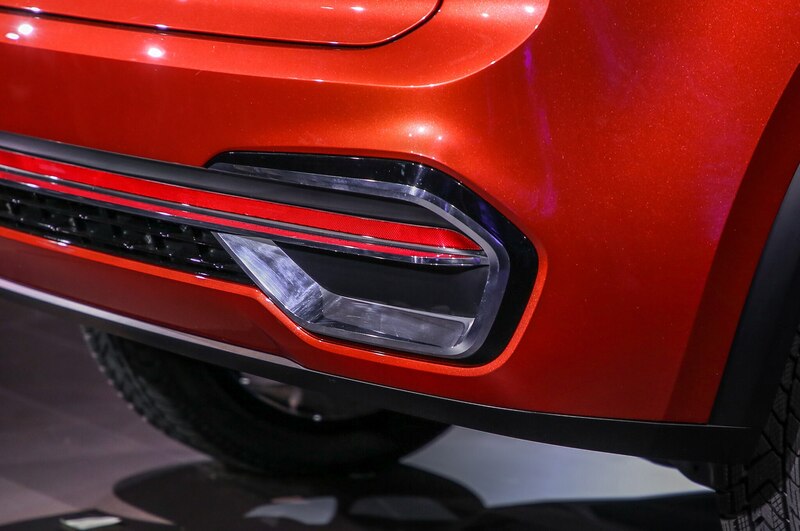 The Atlas Cross Sport will ride on the same 117.3-inch wheelbase. 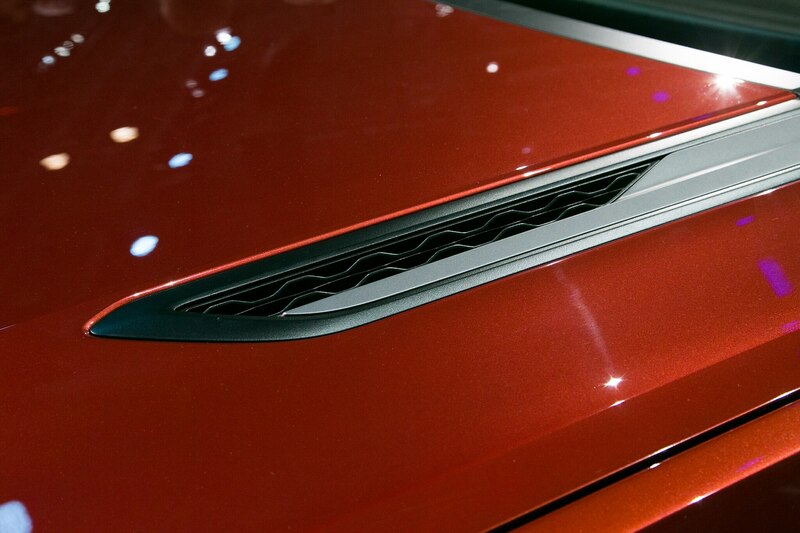 The overall length is 7.5-inches shorter, at 190.8 inches. 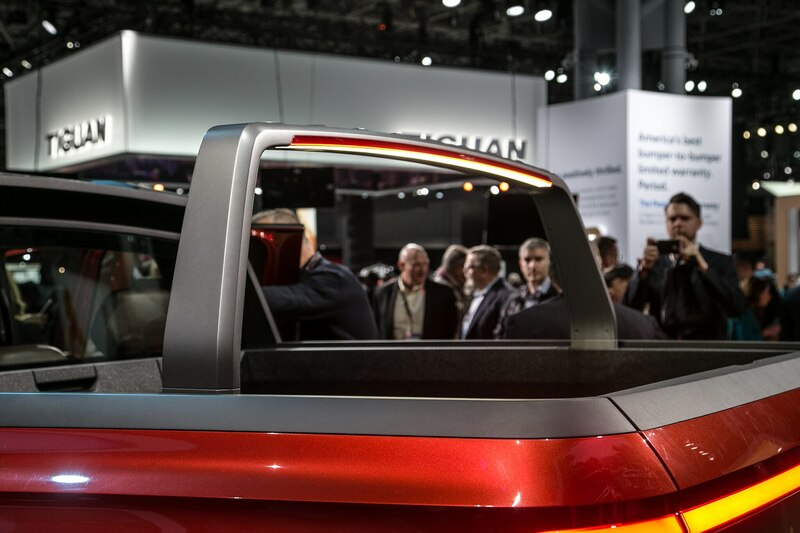 All of that comes out of the rear overhang, where the Atlas’ third row would be. 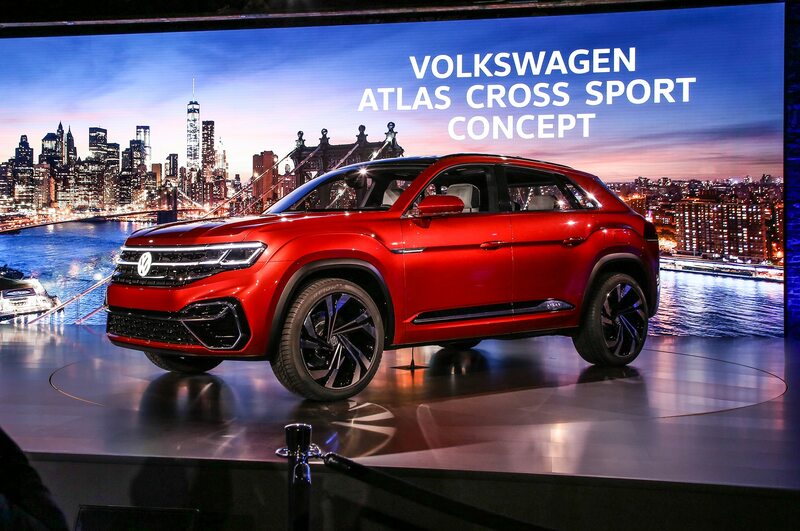 With the new Tiguan filling the popular compact SUV slot in the VW lineup, the two-row Cross Sport is to the Atlas three-row what the Ford Edge is to the Explorer, or what the Nissan Murano is to the Pathfinder. 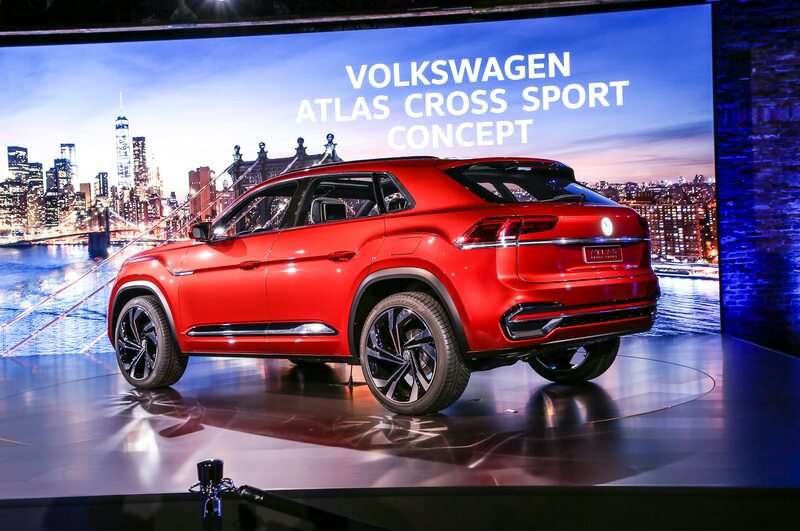 But while VW says the Cross Sport will be priced at, or just below, the Atlas, younger buyers and empty nesters tend to load up the options and spend more on a two-row midsize than most families spend on a three-row midsize SUV. 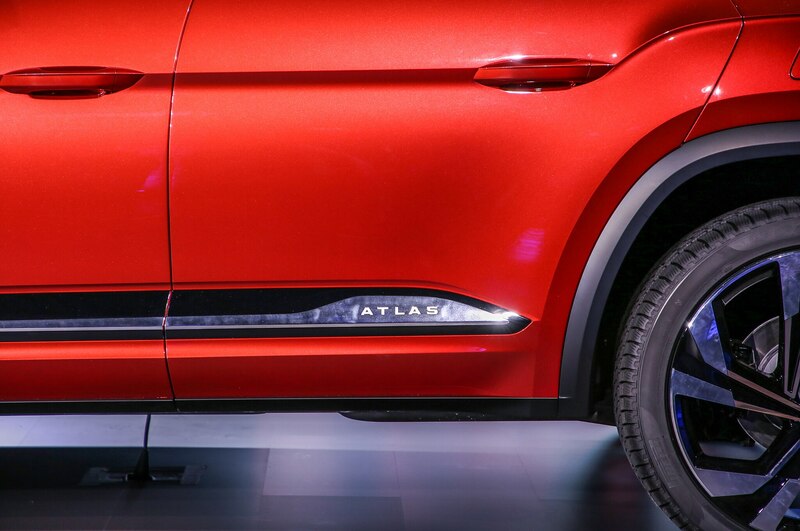 That’s lineups, plural, because each Atlas Family model has something different. 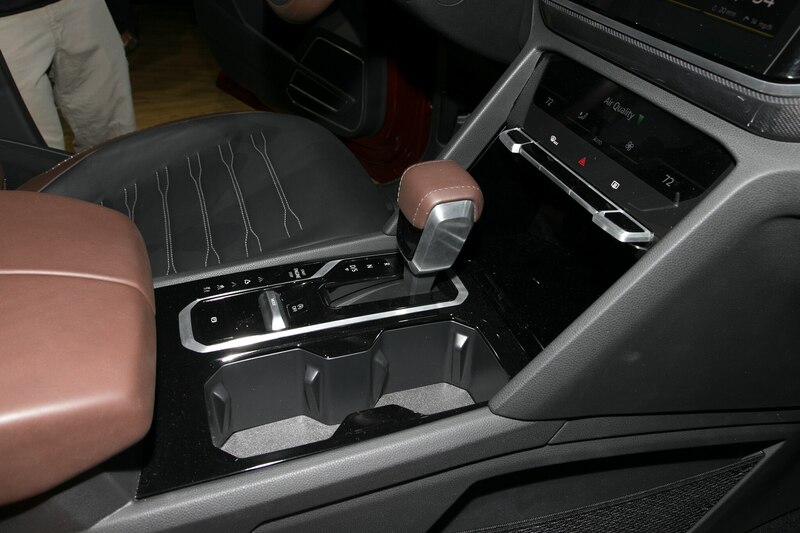 The VW Atlas three-row comes with your choice of 2.0-liter turbo I-4, or the venerable 3.6-liter VR6 V-6. 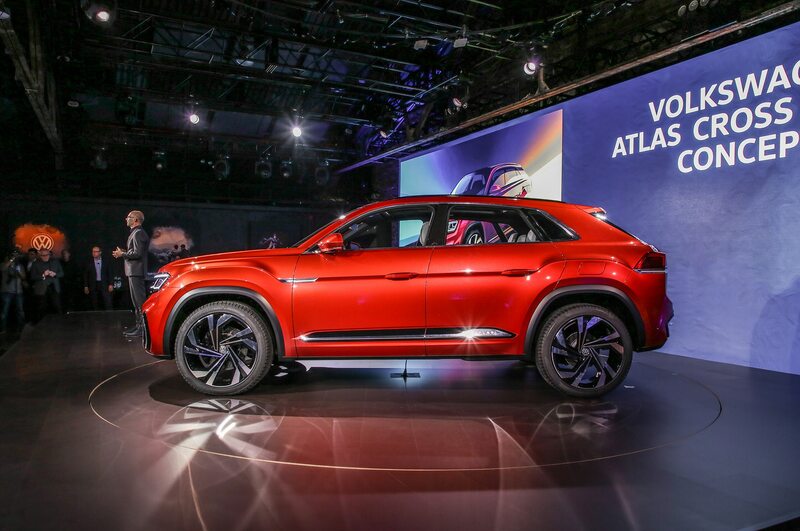 VW showed the Atlas Cross Sport with a 3.6-liter V-6 plug-in hybrid with a 1.8-killowatt hour lithium-ion battery, and the company said a mild hybrid also would be added to the powertrain lineup; a hint that maybe the VR6 is about to get a 48-volt system. 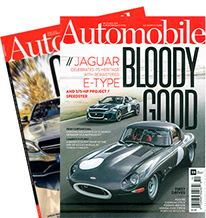 Though there was no mention of the 2.0-liter turbo, it’s hard to imagine it would be offered in the bigger three-row, and not in the Cross Sport. 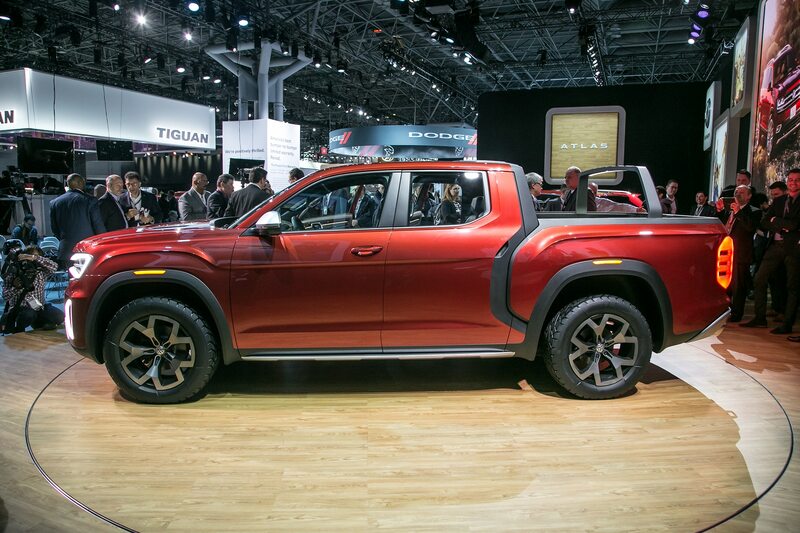 The Atlas Tanoak is said to have a 276-horsepower V-6, with eight-speed automatic and 4Motion all-wheel-drive. 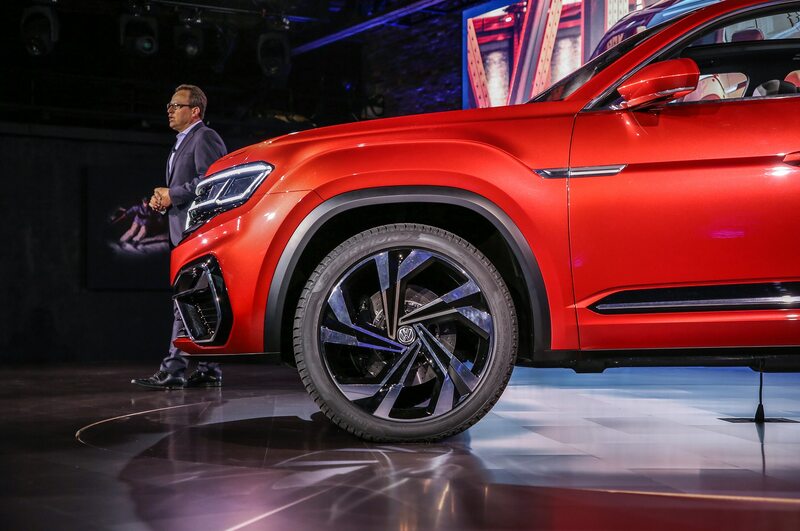 It seems unlikely it wouldn’t get a VR6 with 48 volts, and maybe a PHEV, though a 2.0-liter with front-wheel-drive might be more of a stretch. 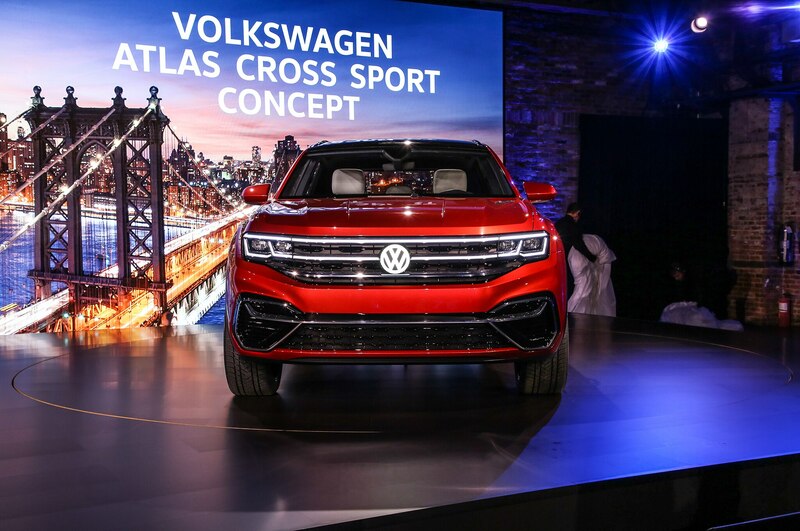 Considering current U.S. Passat sales levels of about 60,000 per year, Atlas and Atlas Cross Sport sales might push total capacity utilization just past the halfway mark of 250,000. 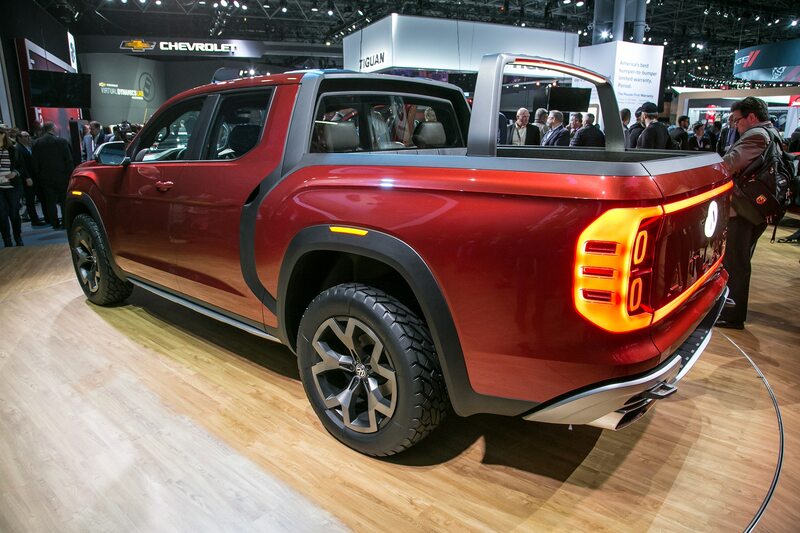 It will take far more than a large-midsize unibody pickup truck to make the rest. 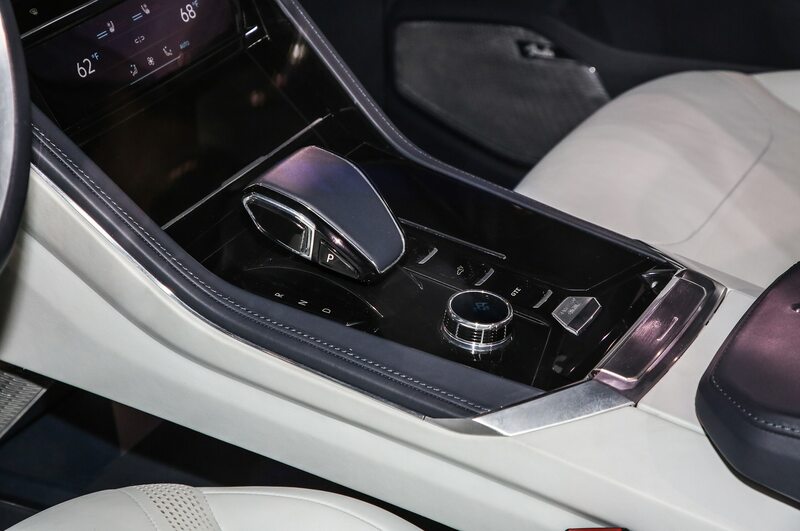 MEB production there can’t make up the difference, unless the U.S. and more likely California push up their electric vehicle incentives, or a large portion of the mainstream consuming public goes green, gasoline prices spike upward, or all of these happen. 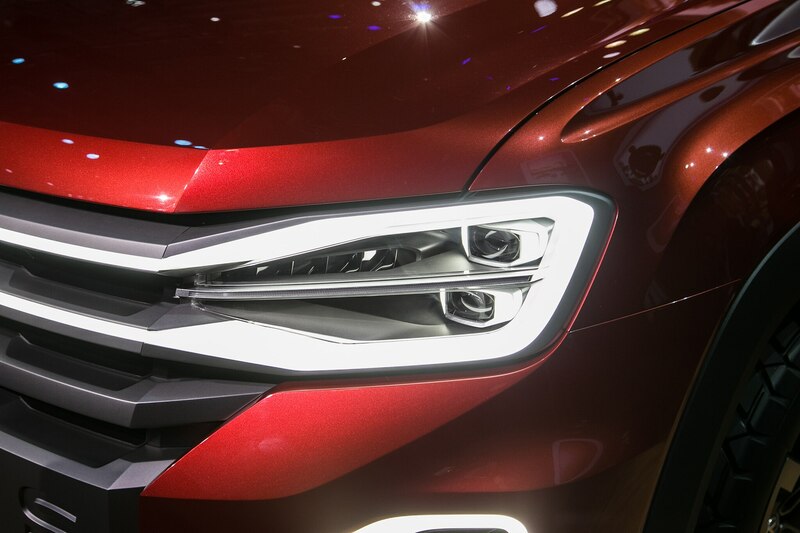 Chattanooga could become a large assembly plant of relatively niche models, which seems appropriate for Volkswagen. So I’ll make this future product prediction, with no backing from any VW insiders so far: The upcoming MQB Passat spawns an Alltrak-style wagon.